With US President Bill Clinton brokering the peace plan, Bosnian, Serb, and Croat leaders accept the Dayton Accords, which ends four years of a fighting in Bosnia and Herzegovina. The war, the worst in Europe since WWII, has killed an estimated 200,000 people and included campaigns of ethnic cleansing. The General Framework Agreement for Peace in Bosnia and Herzegovina, also known as the Dayton Agreement, Dayton Accords, Paris Protocol or Dayton–Paris Agreement, is the peace agreement reached at Wright-Patterson Air Force Base near Dayton, Ohio, United States, on 1 November 1995, and formally signed in Paris, France, on 14 December 1995. These accords put an end to the 3 ¹⁄₂-year-long Bosnian War, one of the Yugoslav Wars. President Slobodan Milosevic of the Federal Republic of Yugoslavia, President Alija Izetbegovic of the Republic of Bosnia and Herzegovina, and President Franjo Tudjman of the Republic of Croatia initial the Dayton Peace Accords. The Balkan Proximity Peace Talks were conducted at Wright-Patterson Air Force Base Nov. 1-21, 1995. The talks ended the conflict arising from the breakup of the Republic of Yugoslavia. The Dayton Accords paved the way for the signing of the final “General Framework Agreement for Peace in Bosnia and Herzegovina” on Dec. 14 at the Elysee Palace in Paris. (1995) Three warring Balkan states make peace. A 17-year-old Ella Fitzgerald goes to New York’s Apollo Theater to dance on stage for Amateur Night, but opts to sing instead. She wins the competition with her renditions of Hoagy Carmichael’s ‘Judy’ and the Boswell Sisters’ ‘The Object of My Affection,’ and an American music legend is born. In the early morning, a fire breaks out in a ground floor deli at the luxury hotel-casino MGM Grand and quickly spreads as it hits flammable plastics in the casino. Eighty-seven people will die, mainly from smoke inhalation. The fire will rank among the deadliest in the US. Jonathan Pollard, a US government intelligence analyst, is arrested on charges of passing classified security information to Israel, a US ally. Pollard is taken into custody outside the Israeli Embassy after he tried to seek asylum, and will later be sentenced to life in prison. Jonathan Jay Pollard is a former intelligence analyst for the United States government. 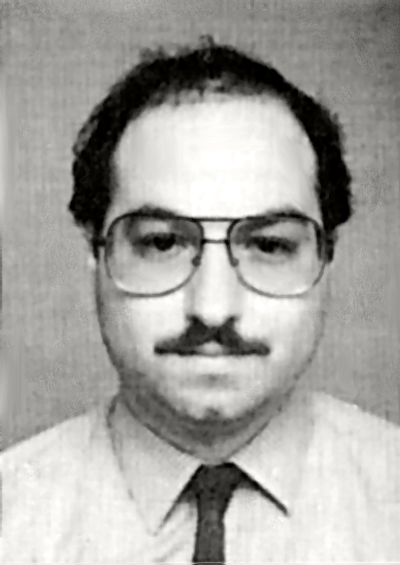 In 1987, as part of a plea agreement, Pollard pleaded guilty to spying for and providing top-secret classified information to Israel. He was sentenced to life in prison for violations of the Espionage Act. 1984: Within a few days, in June 1984 Pollard started passing classified information to Sella. 1985: Jonathan Pollard married Anne Henderson Pollard on August 09, 1985. 1986: In late May 1986, the government offered him a plea agreement, which he accepted. 1987: In 1987, as part of a plea agreement, Pollard pleaded guilty to spying for and providing top-secret classified information to Israel. 1989: In 1989 Pollard's attorneys filed a motion for withdrawal of his guilty plea and trial by jury due to the government's failure to abide by terms of the plea agreement. 2010: The New York Times reported on September 21, 2010, that the Israeli government (again under Netanyahu) informally proposed that Pollard be released as a reward to Israel for extending by three months a halt to new settlements in occupied territories. Jonathan Pollard, U.S. Navy I.D. picture. Scanned from Territory of Lies, Wolf Blitzer.